The Chinese International Photography Competition is one of a series of international cultural arts contests sponsored by New Tang Dynasty Television. Its purpose is to increase the sharing of cultural arts globally among Chinese who love photography, to uphold traditional Chinese arts philosophy, to promote artistic works portraying intrinsic reality with implications of compassion, gracefulness, brightness and righteousness. PRIZE DETAILS: One Grand Award (US$5,000 or equivalent value of equipment/travel service). There are following awards for each category (News and Global Events, Society and Humanity, Nature and Landscapes) One Gold Award (US$2,000 or equivalent value of equipment / travel service) Two Silver Award (US$1,000 or equivalent value of equipment/travel service) Three Bronze Award (US$500 or equivalent value of equipment / travel service) Ten Honorable Mentions awards. 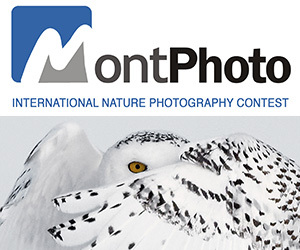 All selected entries will be awarded a certificate of participation and will be exhibited at a photography exhibition to be held in New York City, USA. ELIGIBILITY: Chinese Ancestry Not eligible to enter? - Find contest where you are. COPYRIGHT: Copyright and all other rights remain that of the photographer. Any photograph used by NTDTV shall carry the photographer's credit line; use may include publication in any NTDTV media sponsor publication (including, but not limited to, The Epoch Times). 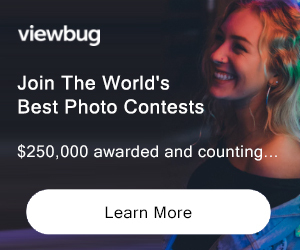 All entrants understand that any image submitted to the competition may be used by NTDTV for marketing and promotional purposes, including, but not limited to, exhibitions, print, and digital media. There will be no monetary compensation. However, if the entrants were used in any commercial mode (including, but not limited to, sales of photos, postcards, calendars, etc. ), NTDTV or related business would agree to offer 40% of the profit (defined as the revenue subtracted by related cost and tax) to the corresponding photographer. The organization committee cannot be held liable for any disputes regarding submitted entries’ portrait rights, reputation rights, privacy rights, copyrights, trademark rights, etc.